Tip: School of Thought. Researchers typically peg the divorce rate at around 50%, but for those with at least a bachelor's degree, the number falls to below 30%. Getting a divorce is a painful, emotional process. Don’t be in such a hurry to reach a settlement that you make poor decisions that can have life-long consequences. If divorce is a possibility, here are a few financial ideas that may help you prepare. The most important task you can do is getting your finances organized. Identify all your assets and make copies of important financial papers, such as deeds, tax returns, and investment records. When it comes to dividing up your assets, consider mediation as a low-cost alternative to litigation. Most states have equitable-distribution laws that require shared assets to be divided 50/50 anyway. When a divorce becomes contentious, attorney’s fees can accumulate. Fast Fact: Expensive Split. The most costly celebrity divorce on record involved Alec Wildenstein, who paid his ex-wife Jocelyn $2.5 billion. 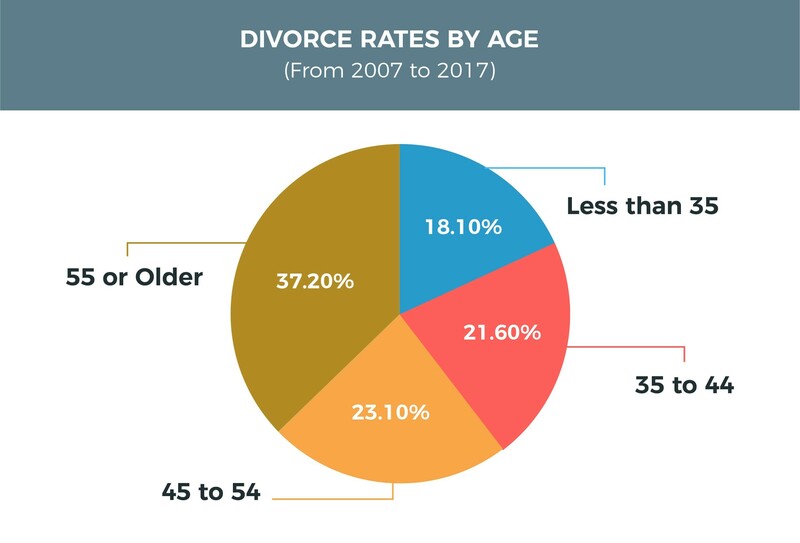 From a financial perspective, divorce means taking all the income previously used to run one household and stretching it out over two residences, two utility bills, two grocery lists, etc. There are other hidden costs as well, such as counseling for you or your children. Divorces also may require incurring one-time fees, such as a security deposit on a rental property, moving costs, or increased child-care. Finally, dividing assets may sound simple but it can be quite complex. The forced sale of a home or investment portfolio may have tax consequences. Potential tax liability also can make two seemingly equal assets have varying net values. Additionally, when pulling apart a portfolio, it makes sense to consider how each asset will suit the prospective recipient in terms of risk tolerance and liquidity. Remember, the information in this article is not intended as tax or legal advice. Please consult legal or tax professionals for specific information regarding your individual situation. During a divorce, many factors are competing for attention. By understanding a few key concepts, you may be able to avoid making costly financial mistakes. Please connect with us on social media. Securities Offered Through TFS Securities Inc., Member FINRA/SIPC a full service broker dealer located at 437 Newman Springs Road Lincroft, NJ 07738 732-758-9300 Investment Advisory Services offered through TFS Advisory Services, a Division of TFS Securities, Inc.